This month our Service Manager and some of our volunteers took LINK clients and HSG members to the Royal Albert Hall for a special Friendship Matinee performance. The Royal Philharmonic Orchestra performed an hour of 50 years of Bond music with guest presenter Fiona Fullerton (previous Bond Girl!). It was a fantastic afternoon enjoyed by all who came. Some of our attendees had never heard a live orchestra before and found the experience truly magical. We hope to attend next year’s Friendship Matinee which will be a Broadway Musicals. The canal boat trip was a raging success once again! We were lucky with the weather and enjoyed some good food and great company. A huge Thank You to Pat for organising such a fantastic day! This year West London Harley Riders (WLHR) had the honour of hosting the Federation of Harley-Davidson Clubs Europe (FH-DCE) SUPER RALLY, which was attended by many European clubs. This massive event took place at the Lincolnshire Showground at Grange-de-Lings. The event was attended by Staff, Volunteers, and Service Users running the stall we had in the show ground to promote HNWL and provide information about brain injury and the work of Headway UK. 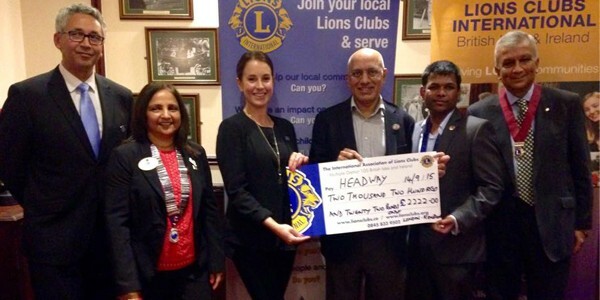 West London Harley Riders used the event as a platform for a fundraising initiative, and The Super Rally generated even more generous support for HNWL. A huge thank you to Mal, Cat Weasel and the WLHR members for their ongoing support and hosting such an exciting and successful event.